Just a quick walk to the beach, Dover House in Delray Beach, Florida, is a wonderful place for a couple’s getaway or family vacation. Receiving the Green Lodging Designation for renovated units, Dover is environmentally friendly and creates a healthy atmosphere for you and your family. With restaurants and attractions close by, this timeshare resort is perfectly located along warm sandy beaches. 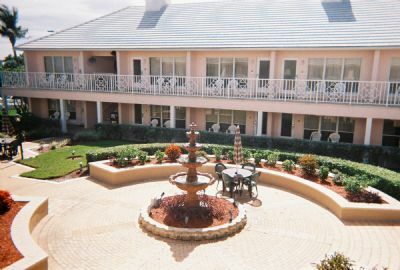 These South Florida timeshare resales include one-bedroom units at Dover House. These fully furnished rooms feature a king size bed and a pull-out sofa to sleep up to four people. All rooms are equipped with a small stove, microwave, mini fridge, dishwasher and some utensils and cookware. Televisions and free Wi-fi are provided along with linens and bath towels. Bathrooms are fully furnished and feature a whirlpool tub, and some floor plans include a balcony or porch with views of the ocean and beach. On-site amenities include a swimming pool and beach facilities in addition to a laundry room for your convenience. Beaches and water activities are nearby including ocean pier fishing, deep sea fishing, surfing, and kayaking. Guests who enjoy golfing will find a wide range of courses within a few minutes’ drive and horse racing is an attraction all year around. Spending a day in town allows you to enjoy the Delray Historic Art Districts, a variety of sidewalk cafes and luxury restaurants, shopping and theaters. Delray Beach has been voted as one of the top five best American Cities and the Dover House is a wonderful resort with an amazing location. 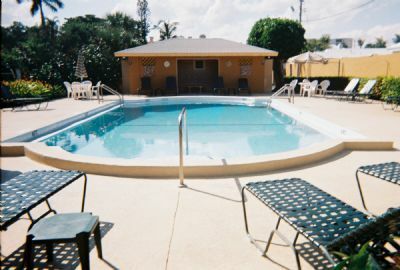 South Florida timeshare resales make finding a great accommodation at Dover House simple with some great amenities. Attentive and helpful staff members will help find activities for all ages and everyone will find something fun to do. Couples or families searching for a place close to the beach to relax and enjoy the sun and warm weather will love Delray Beach. Contact Dover House Specialist Today!